Simple solutions are often the most effective. They are also the solutions that are most easily adopted by an organisation. When it comes to e-procurement, simple solutions can deliver real value for business. The modern capabilities of e-procurement deliver demonstrable time and money savings for business, yet adopting these technologies still remains a challenge for many organisations. A recent study exploring the views of procurement professionals highlighted the widespread recognition of the benefits of e-procurement, but it also flagged some key barriers that remain in place. Organisations are increasingly driven to adopt e-procurement software which enables more efficient and transparent business practice. Yet a worker preference for legacy systems, challenges of change management, perceived transformational hurdles, and cost hesitations still hold many companies back from realising these opportunities. The truth is that every business is unique. No organisation works in exactly the same structure or following the same systems as their peers. Delivering the right solutions in that varied business environment means offering a solution that can meet the needs of any organisation. That’s what Procurehere’s user-friendly platform aims to deliver, and thanks to our one-off-events plan, it’s a solution that’s easy and accessible for any company to trial the benefits. Delivering transformation in your procurement function can sometimes feel like a big step. It’s enabling a key strategic opportunity for your business, but for many organisations those barriers to change can form a formidable hurdle. 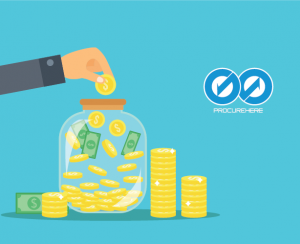 Procurehere’s one-off event plans help unlock the value of e-procurement for your business in a way that works for you. Users purchasing a single event gain access to our key RFx and Auction functions, offering a one-off event opportunity to deliver significant savings for a crucial event. “We conducted a reverse auction for the construction of a wharf and access bridge that was awarded at a cost saving of close to RM18 million. This was in just one event, and we run more than 80 events a year.” – Ahmad Damanhury, Head of Civil Engineering, Westports. One-off event plans cost just US$499 for a single event within 3 years of purchase, allowing unlimited users to collaborate on realising benefits for your key RFx or Auction event. They also offer the perfect opportunity for procurement professionals to explore and demonstrate the benefits of e-procurement in their business, while bypassing many of the perceived barriers for adoption. These single event plants are just another simple solution as part of our user-friendly e-procurement software. At Procurehere that means delivering the solutions that are right for your business. Want to unlock the potential of e-procurement in your business? Explore what our one-off event plan can help deliver.